One of my first memories as a child is my father’s hands. They are stout and square, though not particularly large, they can do many things. As a young child, I would walk with my father and he would take my hand in his – I remember feeling the calluses on his palm. As a diminutive child, I could feel quite small in the world – yet holding on to those rough hands always made me know I was safe. As I got a little older, my father would let me just hold on to the index finger of his right hand. It was like holding on to a staff – sturdy and always present. I might let go and run off to some childish fascination, but I always came back to hold on to something solid and waiting. It is those hands that taught me to swim, how to shoot marbles, how to wash a dog; that held on to the seat of my first two-wheeled bike. Those hands held me steady over and over and over again until I mastered the art of balance –whether riding a bike or facing life’s battles. My father’s hands seemed never at rest. Well I recall the days watching those hands cooking Sunday breakfasts, making the best grits ever – mending picnic tables, raking leaves, hanging swings, cleaning guns and hunting boots and skinning deer. I frequently marveled at the shiny gold band on his left hand and the big red ruby in his college class ring on the right hand. Those hands had pride. Those hands had purpose. My father’s hands taught me many things; how to tie a fish hook, how to cast a line, how to pick up “tiffles” and sticks in the back yard during “national work day” at home. They taught me how to struggle through 7th grade math, how to hold a church hymnal, how to plant a dogwood tree, how to tie a rope knot and how to paint a wooden swing hanging from the massive oak in our side yard. 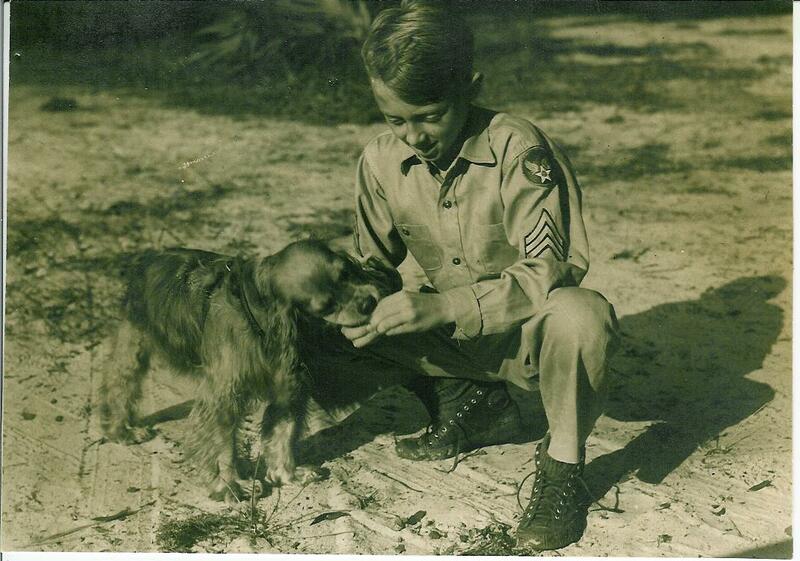 My father’s hands had to reprimand me, and as a teen, firmly and sometimes painfully guide me. It was those hands that greeted the beau coming through the door, that cleaned the knife or gun (just for good measure) while interviewing that young man and those hands that firmly clasped the hand of my date while staring him down with warnings of fatherly doom. My father’s hands were there to walk me through high school Homecoming court, applaud me at my college graduation and finally, it was those hands that gave me away, slightly trembling, to another pair of hands, those of my husband. My father’s hands are used for different purposes now, to drive a tractor, mend a fence, plant a garden, read a book or stroke the ears of a fluffy English setter. His hands have let me go, so that I can follow his example, to hold on and hold up my own children and teach them many things. 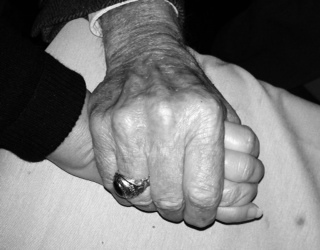 My father’s hands – now spotted with age and roughness, still strong as ever – have taught me much. I have learned to hold on when I needed to and to let go when I was ready, how to work hard and play harder and balance the challenges of life. Now I use my own hands, to pray much, love much, and to open my hands to others around me. I can look at my father’s hands and see another pair of hands…. Mine are stout and square, though not particularly large, they can do many things. Thank you father, that your hands were there when I needed them, and knew to let go when the time was right. I wrote this poem last year for my Father’s 80th birthday. Today he celebrates 81 years of living. Happy Birthday Dad – We love you. Thank you sweet Zoey. I will pass that on to him!